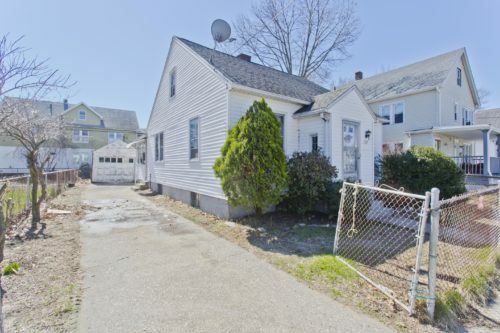 What tips can investors and homeowners learn to sell homes in Springfield? Acquiring the right information can give anyone an advantage in this competitive market. While the majority of people would love to buy or sell homes in Springfield, property access to mortgage credit continues to restrict them from doing so. Those that are financially able to do so can sell homes in Springfield for top dollar by offering various forms of owner financing. This can include rent to own, lease options and owner financed mortgages. All can provide great returns and ongoing cash flow while achieving maximum possible sales prices. Just because you owe more on your home than it’s worth, or have very little equity, it doesn’t mean that you can’t sell. A short sale can erase a huge chunk of debt so that you can price right and sell homes fast. Real estate agents can be valuable if you find the right one. They can bring several advantages to the table and increase the visibility of properties. However, there is a huge variation in the quality of their services. There is no guarantee that listing your home on the MLS will result in a sale, especially after you tack on thousands in commissions and fees. So if this is the route you decide to go, do your homework, interview multiple Springfield Realtors and choose one that is hungry to work hard. Of course, those really serious about wanting to sell homes fast can skip the whole listing process, waiting game and real estate agent commissions by selling directly to a local investor with cash for a quick closing. If this sounds like the option for you contact Hampden Homebuyers today at 413-248-SELL or visit our website at www.HampdenHomebuyers.com. How can you sell your Springfield area house fast? Many homeowners are facing foreclosure, tired of the burden of negative equity, need to relocate, or just need to sell their current Springfield home fast in order to capitalize on the market. However, what can they do to ensure it gets sold quickly? Price is one of the most important factors when deciding how to sell your Western MA home. You’ve no doubt heard it before, but the importance of this cannot be underestimated. Over pricing your home won’t mean that you’ll get the chance to negotiate with potential buyers. Once you are beyond a certain range, your home listing will be instantly dismissed and ignored, resulting in lost time. Of course, all of the above won’t matter much in your effort to sell your home fast if you don’t make it readily available for showing. Springfield area home buyers are in a wild rush and if they can’t get in to see your home within 24 hours of contacting you, they’ll find something else and make an immediate offer on it. While overcoming the above hurdles, remember that first impressions are priceless. If you are in a hurry to sell your Springfield house, you may not have time or the funds to do much in the way of serious home improvements. However, you can certainly still spring for sprucing up the yard and de-cluttering to make it more appealing. Doing so may increase the perceived value so that visitors actually make reasonable offers. If you need to sell your Springfield home fast and don’t want to wait for a traditional buyer, who my not even be qualified, contact Hampden Homebuyers today at 413-241-6859 or visit our website at www.HampdenHomebuyers.com.